OEM KAMAX HEAD BOLTS. LAND ROVER FREELANDER. LOTUS ELISE 111S K SERIES VVC. ROVER K SERIES ENGINE 16vv DOHC 1.4L;1.6L;1.8L. OLD BOLTS SHOULD NEVER BE REUSED BECAUSE ONCE STRETCHED THEIR ELASTICITY IS GREATLY REDUCED AND GASKET FAILURE COULD FOLLOW. The threads are rolled after heat-treating, which makes them about 1000% longer fatigue life than most main bolts, which are threaded prior to heat-treating. Parallel-ground, hardened washers are included with each kit. 4 CYL 8v PD DIESEL ENGINES. 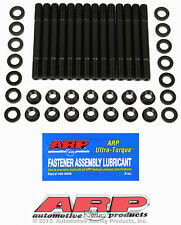 SET OF 10 CAMSHAFT CAP BOLTS. FITTED IN: VOLKSWAGEN – AUDI – SEAT – SKODA & FORD. ENGINE CODES. MINI MINI (R50, R53) Cooper 1.6 4 116 1598 4 06/2001 > Petrol W10B16A, N12B16A. MINI MINI (R50, R53) Cooper S 1.6 4 163 1598 4 03/2002 > Petrol W11B16A, N14B16A. MINI MINI (R50, R53) Cooper S 1.6 4 170 1598 4 07/2004 > Petrol W11B16A. Original Part Number: A6420940785. VIANO (W639) / 2003 onwards. VITO / 2003 onwards. SPRINTER / 2006 onwards. Our Part Number: CM19102 X3. S CLASS (W221) Saloon / 2005 onwards. R CLASS (W251 - V251) / 2006 onwards. FAI: B1460, BGA: BK2332, BMW: 11127560274, CITROÃ‹N: 0204. C1, GLASER: T40616-00, MINI: 11127560 274, VICTOR REINZ: 14-32347-01, WILMINK GROUP: WG1006272, WG1103229, WG1489971. FAI Autoparts are the professional choice for premium automotive components. OUR Part No: VHBS 9030. 1360cc Carburettor Models with "ET3J4 (KFU)" Engine Code. 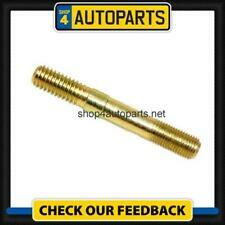 CITROEN C2 C3 C4 PEUGEOT 206 207 307 1007 HEAD BOLT SET. CITROEN C2 - C3 - C4. C2 (06/06-on) - C3 (12/03-on) - C4 (11/04-on). 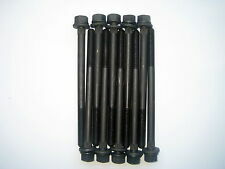 FULL SET OF 20 HEAD BOLTS FOR ROVER V8 ENGINE AROUND 1995 ON ENGINE FITTED WITH THE COMPOSITE (BLACK) TYPE HEAD GASKETS. 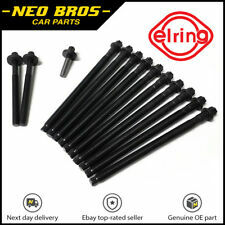 FITS :- - 3.9, 4.0, 4.2, 4.6 Litre Engines 1995> This set is For The Later 10 Bolt Style Cylinder Head And Should Be Used With The Composite (Black) Type Head Gaskets. These Are NOT Suitable For The Earlier 14 Bolt Cylinder Heads As Used In The 3.5 Engines pre 1996. If you have an old vehicle pre 1996 check the number of head bolts it has since it may of had an Engine change at some point. Early engines had 14 bolts per head 28 bolt total and were different style, this kit is only suitable for the 10 bolt heads. LAND ROVER CORRESPONDING NUMBERS are ERR2943 (14 off) ERR2944 (6 off) Please Leave A Telephone Contact Number When Ordering Since This . Ford Focus 2004-2011 models. 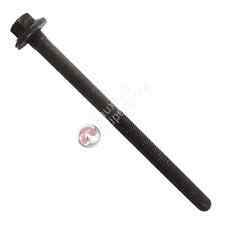 THIS IS FOR A SET OF 1 bolt. Ford S-Max models. 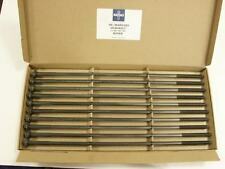 BEST QUALITY VICTOR REINZ HEADBOLTS. FITS ALL FORD PINTO ENGINES. FIT THE BEST! ENGINE CODE TU5JP4 (NFU/N6A) FROM 2000-. PARTNER 1.6 LTR (1587CC) 16V DOHC ENGINES 2000-. 206, 1.6 LTR (1587CC) 16V DOHC ENGINES 2000-. 307, 1.6 LTR (1587CC) 16V DOHC ENGINES 2001-. 1007, 1.6 LTR (1587CC) 16V DOHC ENGINES 2004-. STUD CYLINDER HEAD 164mm OEM C29035. Engine Components. Thread Size::M 12. MITSUBISHI MD040514. We will always attempt to rectify the issue as fast as possible! We just want you and your car to be happy! You'll have the part ASAP. With this in mind, we will indicate what type of product you are looking at within the following guidelines. Engine Components. Thread Size::M 12. MITSUBISHI MD040514. We will always attempt to rectify the issue as fast as possible! We just want you and your car to be happy! You'll have the part ASAP. 12 months warranty on all orders. Thread Size::M 12. MITSUBISHI MD040514. We will always attempt to rectify the issue as fast as possible! We just want you and your car to be happy! You'll have the part ASAP. With this in mind, we will indicate what type of product you are looking at within the following guidelines. Thread Size::M 12. We will always attempt to rectify the issue as fast as possible! We just want you and your car to be happy! You'll have the part ASAP. With this in mind, we will indicate what type of product you are looking at within the following guidelines. 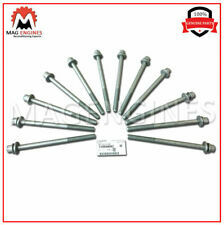 Genuine Mazda Cylinder Head Bolts, SH01-10-135, Qty 10. TOYOTA HI-LUX KDN165 2.5TD. Thread Pitch 1,25 mm. Thread Size M12. FULL SET OF OE QUALITY. Quantity 10. Quantity 18. VAUXHALL ASTRA Mk V (H) Sport Hatch (A04) 1.7 CDTi (L08) Hatchback Diesel 02/2007 11/2010 FWD 16 110 81. VAUXHALL ASTRAVAN Mk V (H) (A04) 1.7 CDTi Box Diesel 11/2011 on FWD 16 125 92. VAUXHALL ASTRAVAN Mk V (H) (A04) 1.7 CDTi Box Diesel 06/2011 12/2013 FWD 16 110 81.